So… it has been more than a year since I uploaded my last blog, but here is the continuation of my last post as I promised. 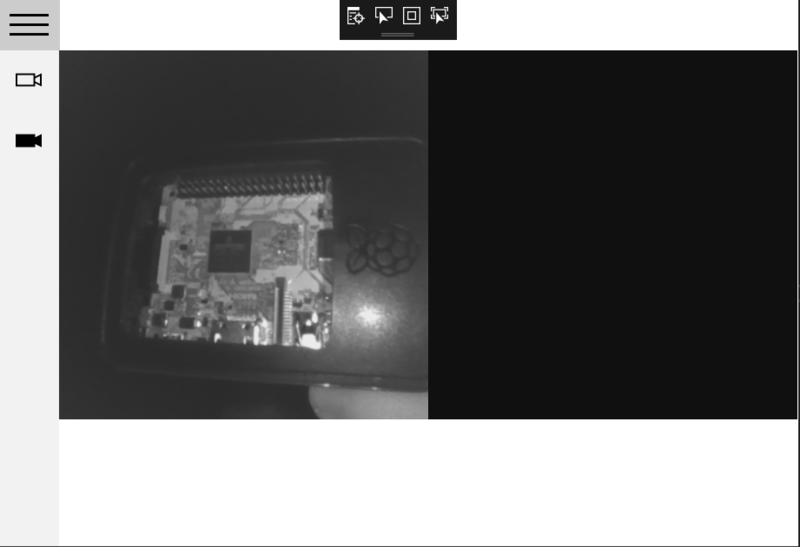 This time we will use the Windows SDK in order to use the Infrared and Color streams from the camera. Just a little warning, this camera’s drivers are only compatible with already deprecated Windows 10 clases and methods, and may not even work in the future. I would like to think that if that is the case, Computer Mouse will release new drivers that make use of the new clases and methods. The code I’ll be using I also uploaded to GitHub for everyone to see and have fun with it, and I will update it if and when there are new drivers for the new clases. Most webcams are “USB video device class” or UVC cameras, which is a standard specification for USB cameras and basically works with most standard webcam software and libraries. The CM01 is a UVC camera, but it is only recognized as UVC for the color stream, and in order to access the infrared stream, we need to make use of Windows.Devices.Perception which have clases and methods for accessing color, infrared and depth video streams. We could use a UVC library to access the color video stream, but we will be using Windows.Devices.Perception for both infrared and color video streams. We can confirm that we got access to the sensors by making sure that the result of these request are equal to PerceptionFrameSourceAccessStatus.Allowed . After this, we need to find and select the correct source for each type of sensor. If you only have the CM01 Camera connected, it should be easy, since there should be just one sensor for each type, but if you have some other color or infrared camera connected you need to specifically search for the sensor you want, but I’m just going to show you how to get the sensor data assuming you have just one camera connected. We get all sources with PerceptionInfraredFrameSource.FindAllAsync() and then select the first (and only in this case) source by using irSources.First(). The color source is the same, but you should use PerceptionColorFrameSource instead of PerceptionInfraredFrameSource. What this does is first, open the video stream using OpenReader() and then we send each new frame as an event (FrameArrived) to the method _irFrameArrived. This tries to open the frame, and if we are successful we should get a PerceptionInfraredFrame, but since we are not sure, we need to first test that frame is not null and the proceed. Now comes the interesting part, Windows Hello requires that the camera returns “illuminated” and “non-illuminated” frames, which means frames with the IR illumination leds ON, and frames with the IR illumination leds OFF. The funny thing is the way it does it this camera, because the stream you get has interlaced each frame the illuminated and non-illuminated frames, and there is no way to control this, which means that each illuminated frame is followed by a non-illuminated frame. I’m using ilFrame as to refer to illuminated frames, and nilFrame as non-illuminated frames, but the truth is, as far as I know there is no way to know which one is it. So some time the first frame may be illuminated, and some times it may be non-illuminated. Now, the videoFrame.Dispose() at the end is necessary to not get a memory overflow and errors while looking at the camera. As a last point, we can pause the video stream at any point by making irFrameReader.IsPaused true. The color frame is the same, but you don’t need to worry about the interlaced frames.